If you’ve ever wanted a place to escape from life’s daily grind, then travel to Anaheim, California. Once you have experienced the city’s magical theme parks, blissful recreation and vivacious shopping, you may never want to leave! Disneyland is by far the most popular attraction in Anaheim. 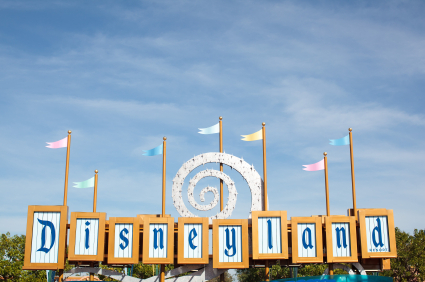 Attracting millions of visitors every year, Anaheim’s Disneyland presents a small, make-believe kingdom where Walt Disney characters and movies come to life. Featuring nearly 60 exciting rides, dazzling shows and various themed districts that are packed with shops and restaurants, Disneyland offers a whole day of fun for everyone. At Disney’s California Adventure, you can enjoy rides and shows that are focused on the themes of California culture, history and wildlife. Targeted for younger children, Adventure City is a small themed park offering rides, interactive shows, arcade games and a petting farm. If you are looking for sports and recreation in Anaheim, you will find many exciting options. You can watch the Los Angeles Angels play baseball at the Angel Stadium. At the indoor arena of the Honda Center, you can enjoy concerts by well-known artists as well as sporting events like wrestling and ice hockey. Indulge in both fun and fitness while bouncing along the unique system of trampolines at the SkyZone Anaheim Indoor Trampoline Park. You can also experience a blast while racing go karts at the K1 Speed Anaheim. Golf lovers can choose between the two quality 18-hole courses of the Anaheim Hills Golf Course and the Dad Miller Golf Course. The whole family can have fun at the Camelot Golfland with activities like miniature golf, batting cages, laser guns, arcade games and water rides. Bask in nature’s pleasures at the Yorba Regional Park. In addition to more than four lakes, picnic tables, volleyball courts and baseball fields, you can also take advantage of biking, walking, horse riding, boating and fishing. At the Oak Canyon Nature Center, you can explore canyons, hiking trails and learn about California wildlife. Whatever your budget and taste, you are sure to love Anaheim’s vibrant shopping scene. Situated at the Disneyland Resort, the Downtown Disney district is a popular spot for shopping with its charming gift shops and restaurants. The Anaheim Gardenwalk presents an attractive outdoor mall where you can find the latest in fashion, cosmetics and accessories. For a great bargain, try out the Outlets of Orange where you can buy name brands like Tommy Hilfiger, Gymboree and Victoria’s Secret at fantastic prices. A must do is Anaheim’s historic district, Old Towne Orange. Here, you can shop for antiques and collectibles in more than 60 stores. Ready to drop everything and steal away to Anaheim? Don’t worry about the weather because it’s always warm and sunny here. And don’t worry about hotel accommodations because there are amazing online deals just a click away!